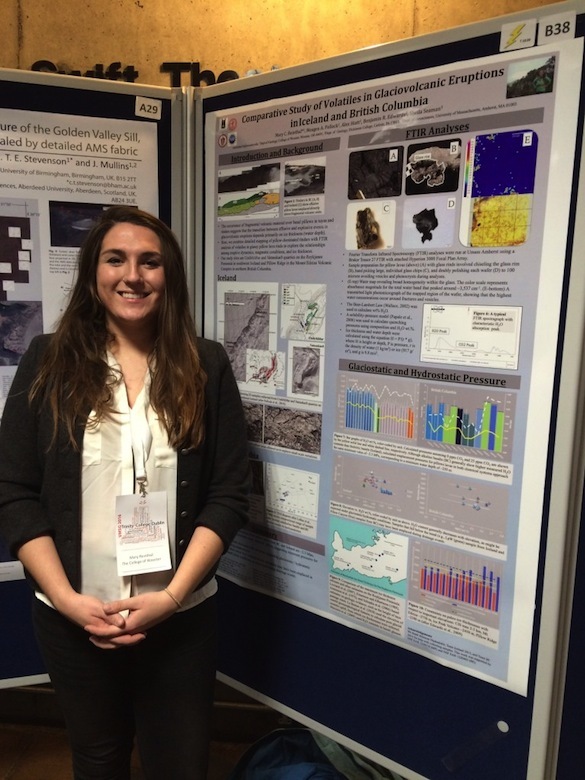 Dublin, Ireland – Congratulations to Mary Reinthal (’16) for a successful poster presentation at VMSG 2016! Mary did a fantastic job giving her ‘lightning talk,’ a two-minute round-robin-style presentation of her poster. The poster session was everything that it should be. Mary received excellent feedback and advice on her research, met a number of people who are working on similar projects, and expanded her post-graduation career opportunities. She was an excellent representative of the Wooster Geology program. Well done!